Stefano Fontana, the director of the International Observatory ‘Cardinal Van Thuân’ for the Social Doctrine of the Church, has written a book on Karl Rahner’s thinking, or, to be more explicit, on Rahnerism as “new Catholicism, new doctrine of a “new Church”. Published by ‘Fede & Cultura’ (2017), this book is concise, well written, intended for the general public and contains neither footnotes nor any other critical underpinning. Mr. Fontana quite courageously sheds light on the totalizing scope of the Rahnerian paradigm able to completely replace Catholicism as handed down to us by Tradition. Clearly emerging page by page in this book is the radical incompatibility between Catholicism and Rahnerian new-Catholicism. Therefore, speaking about the “Church of Karl Rahner” means speaking about a reality intrinsically other than the Catholic Church, even though Rahnerism as such is “in” the Catholic Church. Basically speaking, Mr. Fontana exposes the tumor-like presence of this neo-Church in the Church, a Rahnerian neo-Catholicism in the ecclesial Body. Body and tumor are by no means identifiable with one another even though this ‘cancer’ tends to spread in a metastatic manner throughout the entire Body. In brief, Rahnerism lives like a parasite in the Church, but aspires to take the place of the Church’s identity by melting it down from within. The resolute flagging of Rahnerism as a mortal danger for Catholicism is not something new, and above all worthy of note among major scholars in this regard is Fr. Cornelio Fabro, who wrote Il trascendentale esistenziale e la riduzione al fondamento in 1973 and followed this in 1974 with La svolta antropologica di Karl Rahner, an outstanding masterpiece of theological critique both grasping and confuting the theoretically and dogmatically subversive foundation of the Rahnerian system. Following in the mainstream of Fr. Fabro’s school of thought and familiar with the more recent critical essays on this theme by qualified authors such as Gherardini, Livi, Cavalcoli, and Lanzetta, etc., Mr. Fontana offers the general public a very clear and lucid book which, in a series of short chapters, presents the core of this neo-Catholicism erected into a system by the German Jesuit. In all truth, Mr. Fontana traces theological Rhanerism back to its philosophical premises, back to Heidegger, Kant and Hegel, and thereby exposes the anti-realist foundation conferred upon it by modern transcendentalism. Karl Rahner’s entire theological system is based on Heidegger’s existential transcendental, on Heidegger’s notion of Being. Therefore, the transcendence of God is no longer that of classical metaphysics, but is understood “in an existential and historical sense: God is the horizon that precedes us and makes us know all the rest without being knowable in His turn” (pg. 16). The non knowability of God, His being (for Rahner) Silence, abyss and shadow, renders impossible any Revelation as the communication of Truth by God to man, and, in Rahner’s mind, transcendence is experienced in existence, whereby God communicates Himself in existence. The world and history thereby become Revelation, profane and sacred history coincide, and the voice of God can be heard by listening to historical events “that occur in the humanity of my time, because that is where God speaks to me” (pg. 17). As we see, well before this or that dogma, mortally wounded is the selfsame foundation of Revealed Truth. The very notion of Revelation is radically different in Rahner and in the Church. For the former, Revelation is a-thematic and its theological place is the world understood as history. The public Revelation that came to an end with the demise of the last apostle, and was contained in Scripture and Tradition, disappeared from view in the historical-worldly horizon. This is why, Mr. Fontana writes, “the Rhanerian currents do not accept the concept of evangelization” (pg. 19). Consistent with itself, Rhanerism cannot admit evangelization simply because there is nothing to evangelize insofar as the world, yes the world, is the theological place, the manifestation of God. The Church itself is part of the world and must read the signs of the world. The world insofar as history must guide/teach the Church, which, no longer magistra, must become the disciple and handmaid of the world: this is “the new sense of laicity that is gaining the upper hand in the Catholic Church (pg. 21); the Church “is world to all intents and purposes […] and must become world ever more, dissolving itself at its service (pg. 22). By way of example, this leads to the clearest possible negation of the Social Doctrine of the Church, the very negation of both its legitimacy and possibility. In fact, “if the Church must learn from the world, the Social Doctrine of the Church is something absurd” (pg. 40). Even though in a rather absurd manner, Karl Rahner coherently refuses Doctrine as a set of truths, and affirms the primacy of pastoral endeavors in the sense of the praxis upon which doctrine would depend, liberty in the modern liberal sense, and utopia as a future-oriented thrust which becomes a vital part of that “historical and worldly process” from which the revelation of God emerges. Mr. Fontana’s book makes it readily understandable that Rahnerism is not just a heresy, but another “faith” in the true sense of the word, a system alternative to Christianity and incompatible with it. Nonetheless, that’s not the way it projects itself. In fact, Rahnerism does not assert itself as “new religion” on its own, but rather aspires to a global rereading of Christianity, changing its very nature from within. And everything does change when the Rahnerian paradigm is accepted: the mission is human promotion and philanthropy, not evangelization; original sin is reinterpreted as evil historically sedimented in structures bent on exploitation; Christianity as a whole has to be demythologized and de-Hellenized. The Divinity of Christ will therefore be not an ontological datum, but an historical expression of man’s transcendental relationship with God, and the Resurrection not a real event, but a conviction harbored by the Church, etc. Mr. Fontana links Rahner’s idea of Revelation with that of the modernists condemned by St. Pius X, both of which traced back to Hegel. In the case of both the modernists during the early 1800s and Rahner, “given is not an objective dogmatic truth revealed to us by God and acquired by the Church as knowledge, but rather a history within which the Church – under the impetus of what will ambiguously be called ‘signs of the times’ – interprets the Word[…] According to Rahner, the history of the evolution of dogma is the history of its progressive revelation [because] revelation takes place in the encounter between conscience and history” (pg. 68). How is it possible that such a system has been allowed to grow inside the Church? How is it possible that in no more than a few decades practically all ecclesial milieus have been infected by Rahnerism? How is it possible that Rahner proved to be such substantial source of inspiration during the two recent Synods on the Family? Interesting indeed are the pages Mr. Fontana devotes to Kasper, the perfect disciple of Rahner. Note the questions asked: how is it possible? Perhaps because “the Rahnerian perspective reconciles the Church with the world, removes obstacles, enables us to no longer have foes and make ourselves at home in the world […] It is therefore sweet to the taste. The Church can be proud of its successes, but they are actually the world’s successes” (pg. 87). Mr. Fontana states that “the purpose of this book was to point out the dangers of Rahner at the parish level and foster this new awareness from the grassroots level” (pg. 88), and also “cultivate from that level the ability to recognize elements of Rahnerism in parishes, counter them in such small surroundings and liberate our daily ecclesial life from this propensity” (pg. 88). 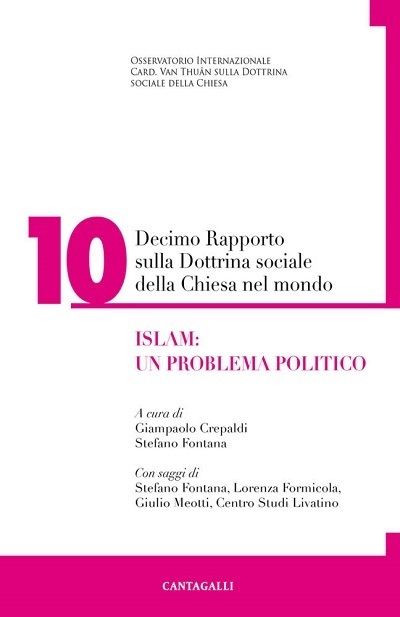 Much like an appendix to this book are four articles Mr. Fontana has published in the on-line version of The Nuova Bussola Quotidiana which reveal, as if this were necessary, the acute timeliness of this critical essay about Rahner. Mr. Fontana’s small book is courageous and invaluable, able in a limited number of pages to grasp the essence of the Rhanerian system, how dangerous it is, and its Gnostic nature. Basically speaking, Rahnerism not only renders the Social Doctrine of the Church and the selfsame idea of natural law impossible, but converts eschatology into revolutionary utopia and Christianity into immanentism, into the most radical expression of atheism. (Source: “Instaurare”, May-August 2017, pgs. 8-9). 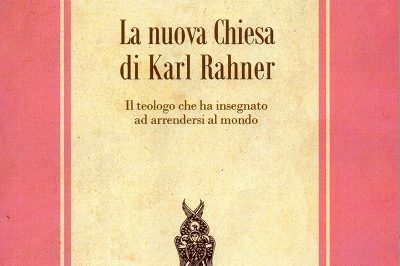 Stefano Fontana, La nuova Chiesa di Karl Rahner. Il teologo che ha insegnato ad arrendersi al mondo, Fede & Cultura, Verona 2017.